Its what happens after a potential client finds out about you is what books the business. What happens afterwards is that the potential clients come and check you out, looking to see if you can solve the problem they are facing – if your foundation is secure and your pricing is right and you have simple sales conversations then you book the business. Its all about building trust – if you have a strong Foundation then the potential client will be likely to give you the opportunity to earn their trust – you will be able to make sales offers proportionate to the amount of trust you have learnt. So what is involved with building a strong foundation? 1. Your Red Velvet Rope Policy – You need to identify the Avatar of your Ideal Client. You can’t serve everyone – identify who are your ideal clients. 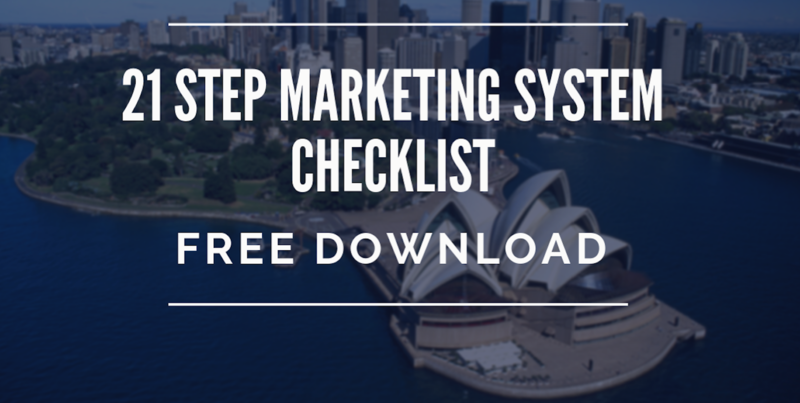 Identify who your Target Market is, know their urgent needs and compelling desires, Identify your #1 Biggest result. Know the benefits you bring to the client from a Financial, Emotional, Physical and Spiritual approaches. Your Why Statement – why do you do what you do? Create a Tag Line – not urgent – this is created by being clear on your Why statement. 4. How to Talk About what you Do. c. I help them with those things by ……..
d. The #1 Biggest result when working with me is ….. It is really important to be extremely clear on these 4 topics – really clear – the more clear you are the stronger you have developed your Foundation. Your Ideal Clients will know you are talking to them – you will be speaking to them – they will connect with you – you will be solving their problems and giving them solutions. This is really powerful. 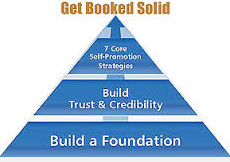 Build a strong Foundation and your clients will feel you are serving them! That’s why your Foundation is SO important for Good Business! Contact Adrienne McLean at adrienne@thespeakerspractice.com.au or ring 0414 367 960. Video marketing is becoming an essential part of marketing a business. Speaking to your clients or potential clients via video is a way of really building your business profile and showing you are an expert in your field. Shawn Powrie is a Digital Marketing Specialist from E-Web Marketing who specialises in the area of Organic SEO and online growth. As a digital marketing specialist Sean works to increase the user-friendliness and overall quality and relevance of clients’ websites so that they can be more appealing to search engines and users alike, thus leading them to perform better in Google and convert more. Sean works to make websites add more value to the world. Shawn is a Digital Marketing Specialist from E-Web Marketing who specialises in the area of Organic SEO and online growth. 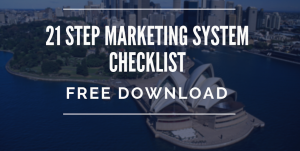 Shawn has consulted with many brands about their SEO strategy including Lincraft, QBE insurance, Converse, Meriton Apartments, Sennheiser, Macquarie University and Orion Expedition Cruises. When Shawn isn’t consulting about SEO, he’s reading about digital and building his Youtube channel. 2. 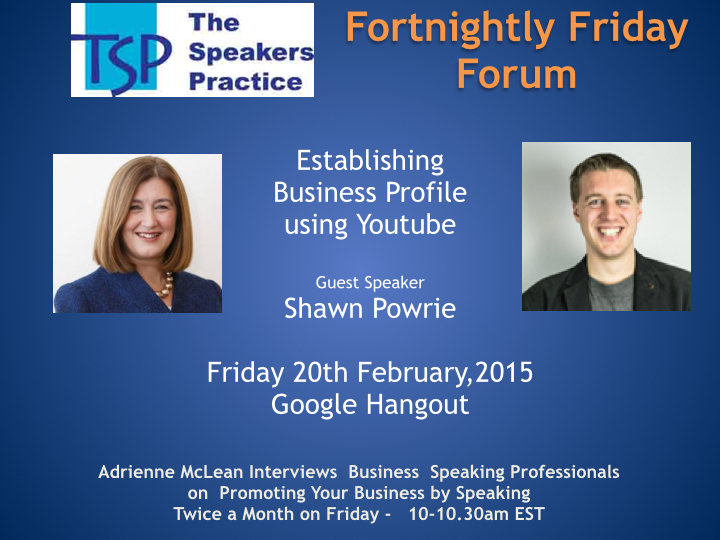 YouTube – what is available to make a business Distinctive? 5. As a Business Owner and Online Marketer, how do you promote your business by speaking? 6. How can you use video in your business? — How it will continue to grow.